4 is at the high post. 1 passes to the weak side ( the side with no center). 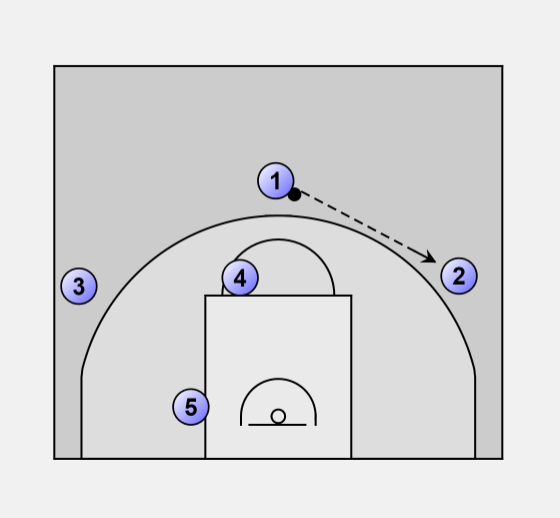 The high post (4) cuts to the ball and then to the basket. If 4 is free he will receive the ball. 3 cuts behind 4 to the free throw line. If the ball is not passed. 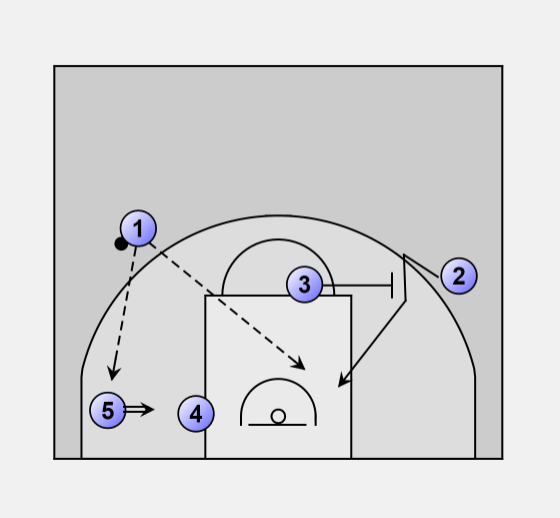 4 sets a screen for 5. 5 flashes towards the ball and if free gets the ball. If none of the cutters is free the ball goes back to the guard. The guard dribbles towards the wing. At the same time 5 gets another block from 4 and cuts free at the baseline. 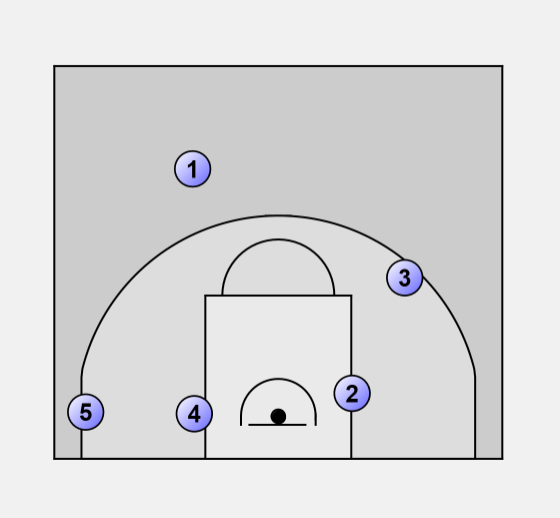 5 can shoot directly from the pass, or can play a 2-man-game with 4 at the baseline. As an alternative another pass at the back of the zone is possible after 3 has blocked for 2. 5 shoots and 4,2 and 3 all go for the rebound.